From Wang to West, the star power that kicked off New York Fashion Week was insurmountable. 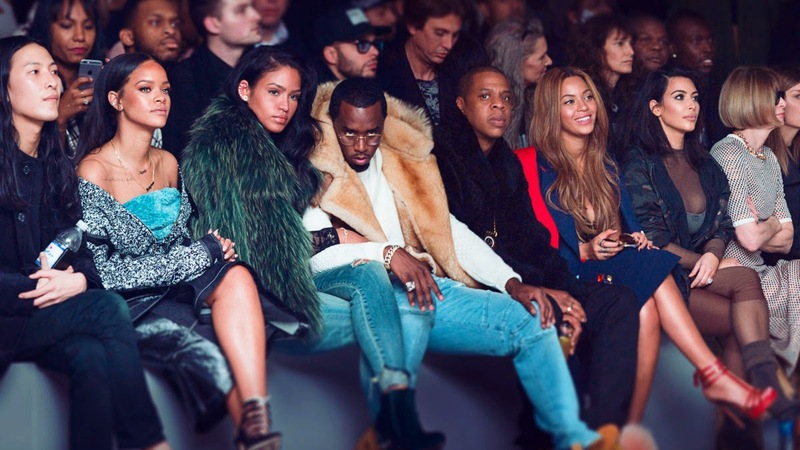 First, Kanye West’s front row was oozing with fabulousness (photo evidence below). Following Yeezy was Alexander Wang with front row additions that included Zoe Kravitz and Nikki Minaj. In fact, a multitude of pop stars and music moguls were in attendance this week, but no one served up a better front row than the Brits at the Victoria Beckham show. The Beckham family is no stranger to showing support for their designer mum, and this season was no exception. 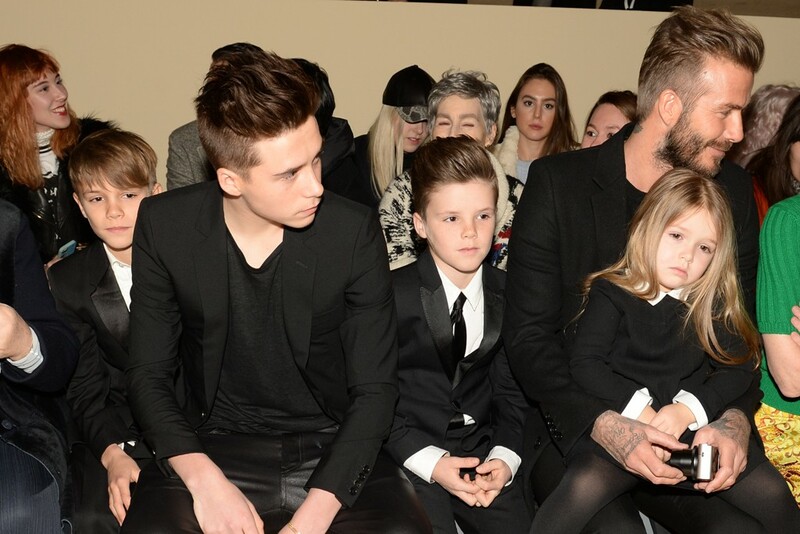 We caught a glimpse of the beautiful Beckham brood dutifully dressed in black along side their supportive dad. If you’re really looking to have your heart strings tugged, check out the family selfie they grabbed before the show. The Beckham’s have once again proved that they embody a certain level of class and style rooted in family values that often goes unmatched. So with that I say, Beckham’s – 1, Everyone Else – 0. 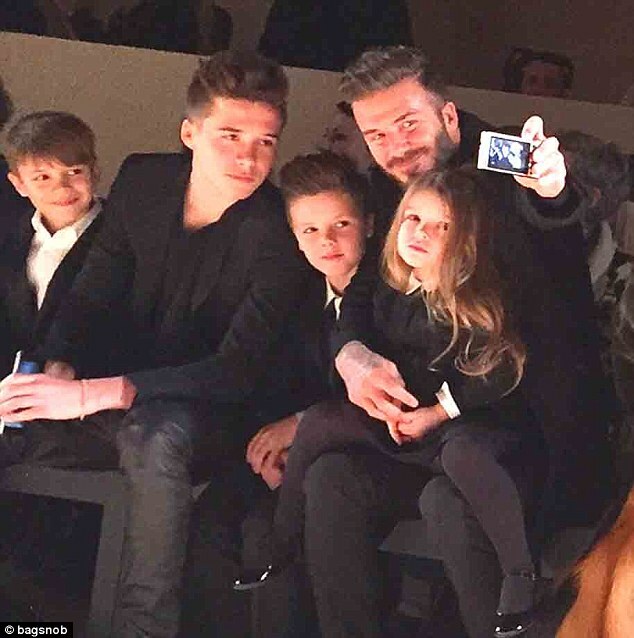 The Beckham family: Romeo, Brooklyn, Cruz, Harper, and David at the Victoria Beckham show during NYFW. 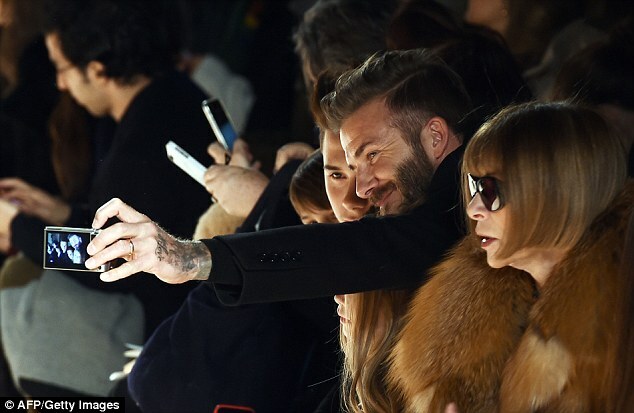 Beckham family selfie at the Victoria Beckham show during NYFW. 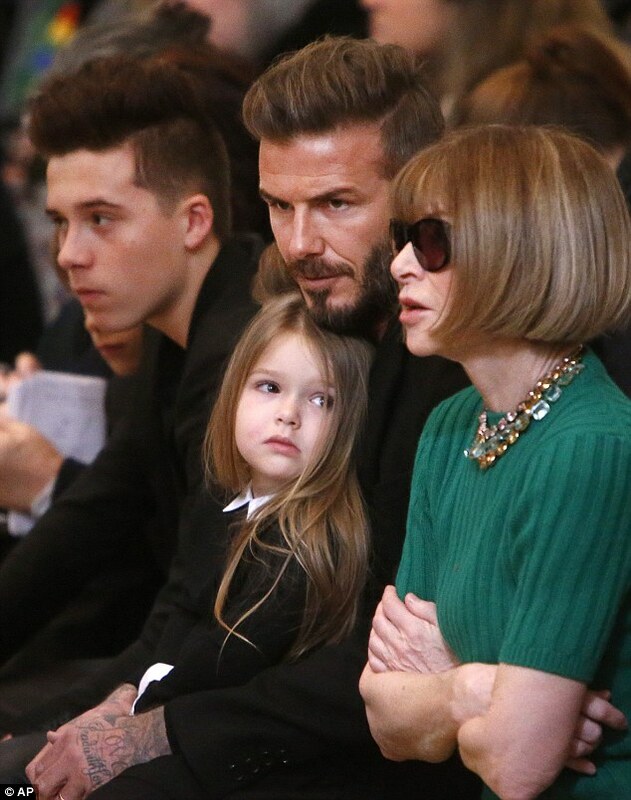 Brooklyn, Harper, and David Beckham next to Anna Wintour at the Victoria Beckham show during NYFW. Alexander Wang, Rihanna, Cassie, Diddy, Jay Z, Beyonce, Kim Kardashian, & Anna Wintour at the Kanye West X Adidas show during NYFW. Kim Kardashian, North West, Kanye West, Nikki Minaj, & Zoe Kravitz at the Alexander Wang show during NYFW.